Over 70 years, Israel has seen 26,780 people killed in war and terrorist attacks. Before Israel could celebrate its 70th birthday, it needed to honor the memories of the soldiers and victims of terrorism killed in the ongoing struggle to maintain one Jewish state in the world. 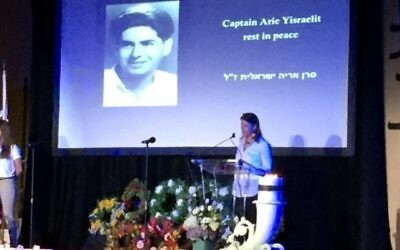 Yom HaZikaron (Memorial Day), which started Tuesday night, April 17, and continued for the 24 hours until Yom HaAtzmaut (Independence Day), remembered the 23,646 slain soldiers and 3,134 victims of terrorists. 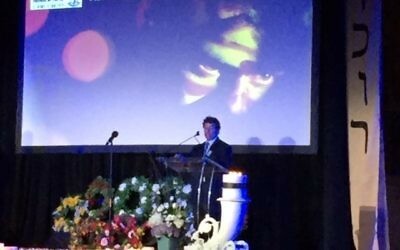 The Israeli Consulate-sponsored Yom HaZikaron service at The Temple on April 17 focused on the 6,000 Israelis who died in Israel’s War of Independence 70 years ago. That number represented 1 percent of the new nation’s population. 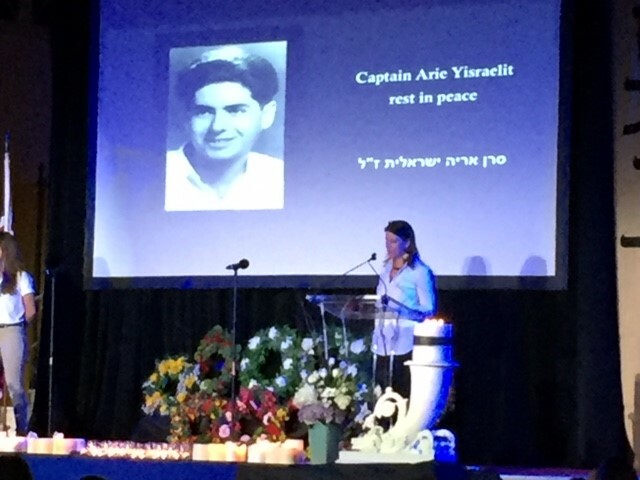 Featured speaker Tali Barel, an Israeli who also has American citizenship, spoke about the two cousins her grandmother lost in the war, Arie and Yaackove Yisraelit. 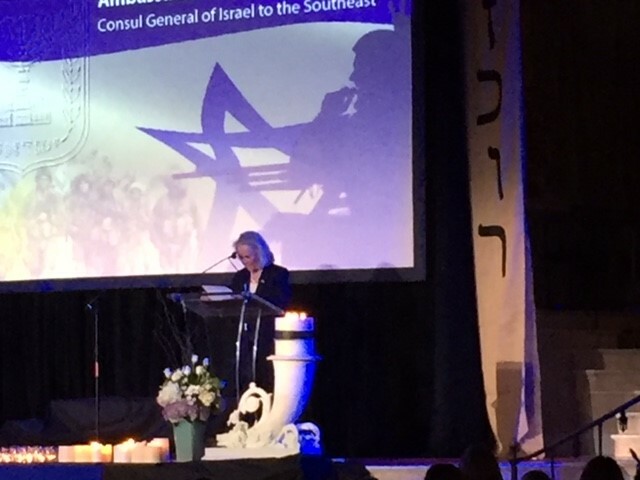 Ambassador Judith Varnai Shorer speaks at the Yom HaZikaron commemoration April 17 at The Temple. 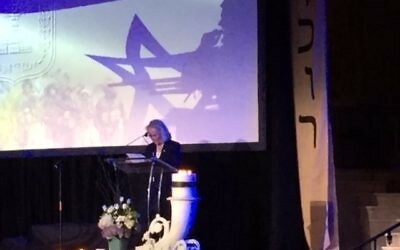 Tali Barel speaks at the Yom HaZikaron commemoration April 17 at The Temple. 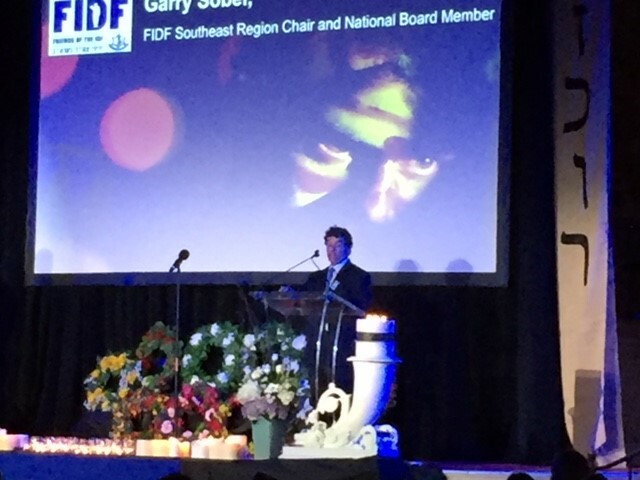 FIDF Chairman Garry Sobel speaks at the Yom HaZikaron commemoration April 17 at The Temple.